Clayton Merrell is on the show to talk about, among other things, his ongoing project at the Pittsburgh International Airport. 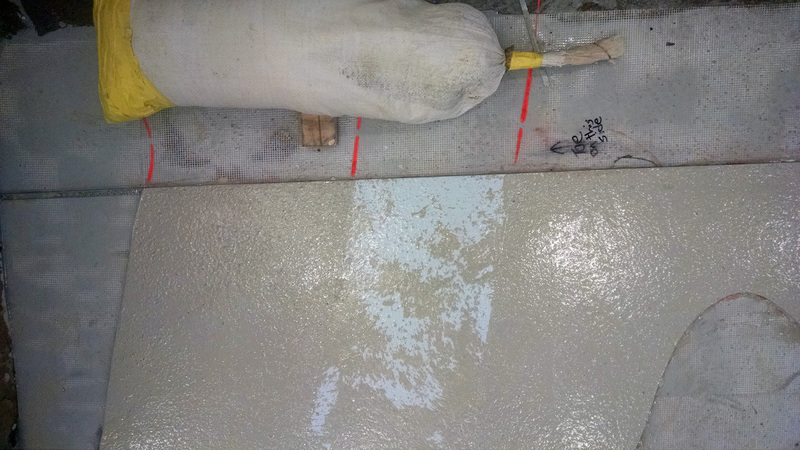 That project is a piece of public art done in terrazzo and will cover the entire center core when finished. For reference, the tops of the escalators that bring you into the center core are at the right side of the left-most rectangle. 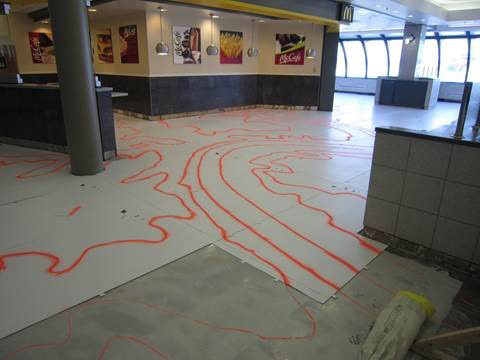 Intricate patterns are possible with careful workmanship, like the river that runs through the food court. 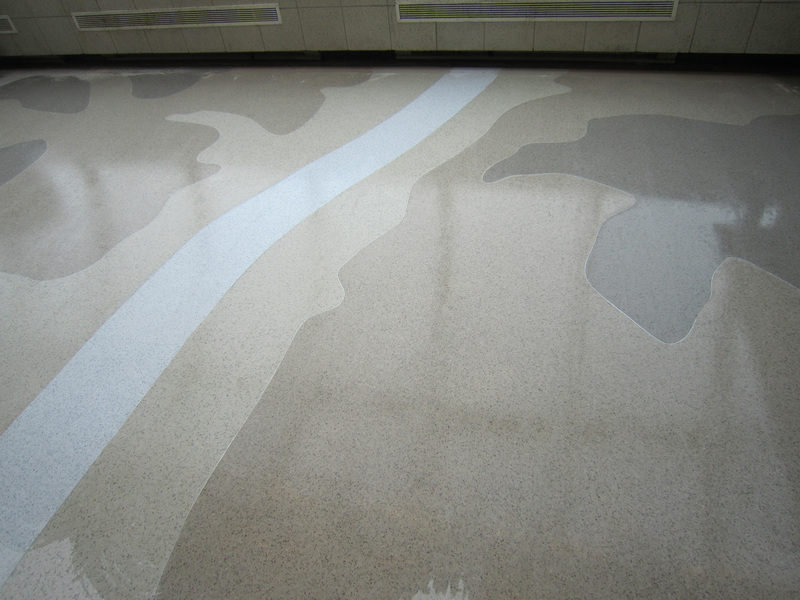 The terrazzo is laid out like a paint-by-number, with metal transition strips separating each of the 13 colors. Clayton completed the drawings using a Wacom tablet, which were then cut into full-size pieces of corrugated plastic that fit together like a puzzle. 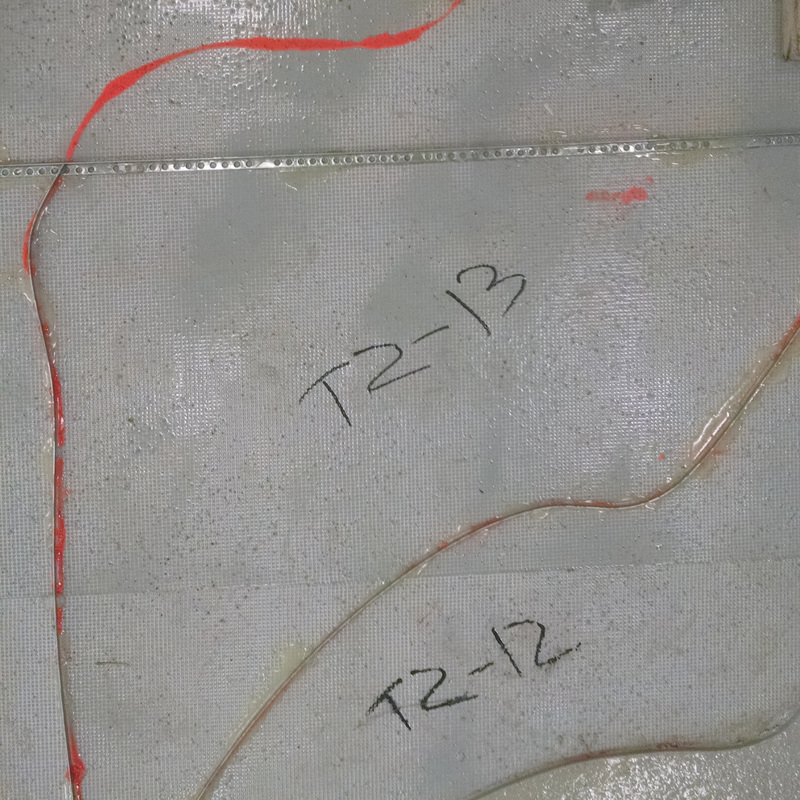 Then they were painted with orange paint so that the transition strips could be laid out after the plastic was removed. 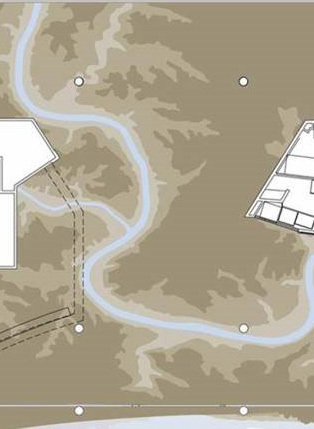 If you have 1.5 extra acres in your backyard and want to replicate Clayton’s design, maybe you can fish through the airport dumpsters for the next few months, looking for the used plastic templates. I’m sure that won’t get you arrested. … and then filled in. 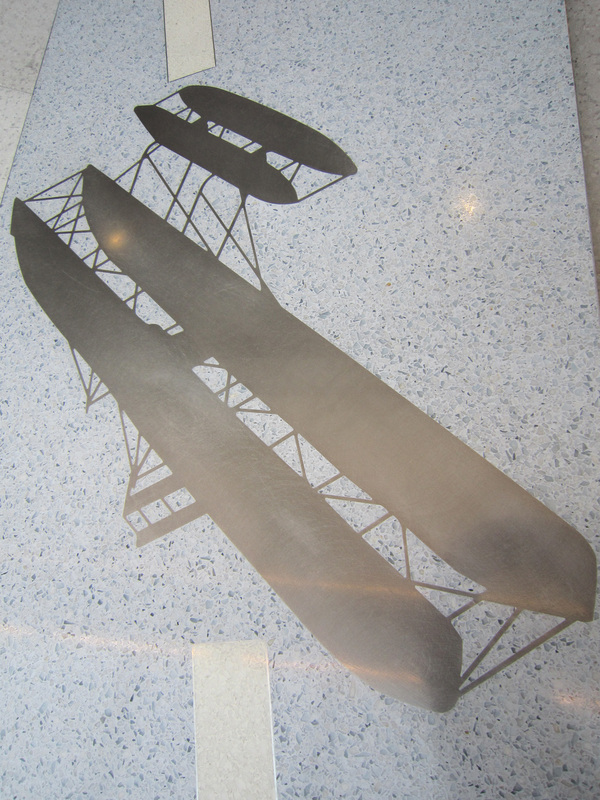 When finished, you can follow the trails of different flying machines around the airport. 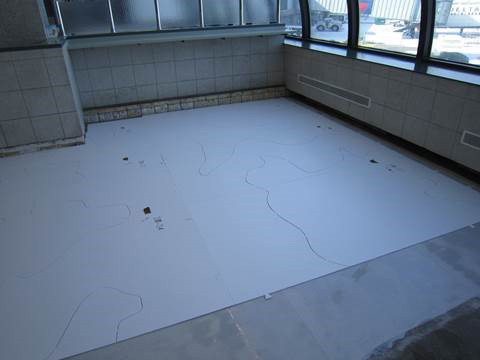 If you visit the airport right now, you’ll see the project in all phases, from the original tile being removed to preparing the concrete underneath to receive the terrazzo and the locating of utilities. This is Clayton’s biggest public art project and it was partially inspired by his experimentation with covering a sphere with layers of paint, then peeling that paint so that it would lay flat. And despite an initial avoidance he’s done a lot with landscapes. On the show he talks about using a technique of placing hard-edged “cartoon” objects in otherwise classical scenes. You can see more of his work on his website, or keep an eye out for exhibitions in the area. Or take one of his classes at CMU.